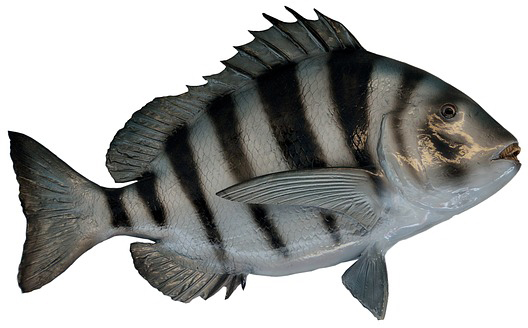 Wondering how the sheepshead fish (or convict fish) got its name? Or what the creepy marine dwellers eat? We tell all about the famous fish in today’s article. There’s even a story about hallucinations and giant spiders that you don’t want to miss! It’s a marine fish that can reach as big as 85cm in length. It is silver in color with several vertical black stripes adorning its sides. It’s also known as a convict fish or Archosargus probatocephalus and can be found in waters near the coasts of the countries of the eastern Americas. It can be found as far north as Nova Scotia and as far south as Brazil. These coastal waters of the western Atlantic ocean are its prime habitat, and it is most common in the waters of Florida. Funnily enough, Sheepshead Bay in Brooklyn was so named because of the huge numbers of the fish that once resided there. These days the fish hardly seen in the waters there. In fact, it rarely ventures that far north at all and prefers the temperate waters of the southern regions of the western coast. The fish prefers rocky coastal areas, where it can feast on shellfish and crustaceans. It can also be found near piers. It has human-like teeth which it uses to crush its prey. It’s also famously a nuisance to fisherman, but more on that later. The fish usually measures 30 to 50cm but can get as big as 85cm. They can also weigh as much as 9.5 kg. The fish is a silver color with 5-7 thick, black vertical stripes running down its sides. The sheepshead fish teeth are large and flat (see the video below). 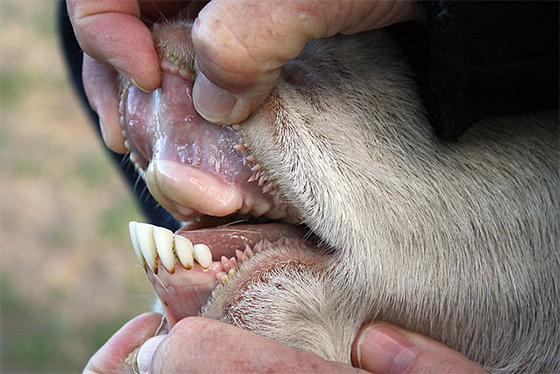 These are the kind of teeth that are best kept hidden and don’t exactly lend themselves to a pretty smile. You might compare them to those of a person that rarely visits the dentist, or a more fitting comparison would be to that of a sheep. The teeth are so shaped due to it’s diet, as they are needed to break the hard shells of things like crabs. The fish is also known in some places as the convict fish. I find this name more fitting as there are a couple of great reasons for it. Firstly, there’s the appearance of the fish. The light coloring with those prominent black vertical stripes is very reminiscent of those classic jail-suits common to the film and TV shows of yesteryear. Then there’s the sneaky, sly, thieving nature that the fish possesses. They are hated by fisherman because of their penchant for stealing bait. When trying to catch the sheepshead, fisherman use particularly sharp hooks to stop the bait theft from happening. For me, the name convict fish couldn’t be more perfect. Be sure to check out the short video below to see those gruesome sheepshead fish teeth in action. The convict fish or sheepshead fish uses it’s strong, flat, blunt teeth to crush sea shells, crabs, and other crustaceans like shrimp. Common shellfish like barnacles, mussels, oysters, and clams are all on the menu, and it dispatches them with relative ease. Its sheep-like jaw may not look fearsome but it’s pretty powerful, s anyone who’s tried to open a seashell before can attest. They habitat rocky coastal areas and even the bottoms of bridges, piers and around jetties, where these types of prey are common. The fish are prized for their taste. The fact that they are so difficult to catch must make the sheepshead fish eating really satisfying too. As we mentioned, they are skilled bait thieves and I’ve read reports of fisherman having 4 crabs stolen as bait before catching a single fish. Their diet consists solely of seashells and crustaceans, and they do say you are what you eat. They have a slight shellfish flavor that has a hint of sweetness. The meat is also firm and moist. Sheepshead fish recipes are similar to those of flounder due to the similarity in their meat. They can be quite difficult to prepare for eating due to their large, tough scales. This is one of the reasons that they aren’t more common on the dinner table. The sheepshead fish shares a family with its relative the salema porgy (sarpa salpa). They are joined by fish like red sea bream and scup in this family. 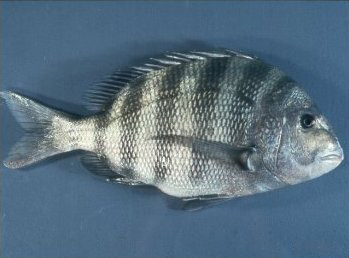 The salema porgy is more commonly known by its nickname, the dreamfish. In fact, in Arabic it is known as “the fish that makes dreams”. It is so called due to the hallucinogenic effect its meat can have. It was reportedly used as a recreational drug during the Roman Empire and was also used in Polynesian ceremonies. When eaten, the meat of the fish causes a kind of poisoning in the human body. The technical term, given to the condition is ichthyosarcotoxism. In the case of the sarpa salpa, marine plankton called gambierdiscus toxicus are ingested by the fish and their hallucinogenic properties are passed on when the fish is eaten. The hallucinogenic fish can cause intense experiences that may last for many days. There are few contemporary reports on human experiences with the hallucinogenic fish, but a study was published into two cases in 2006. The study was published by Philip Pommier and Luc de Haro, who reported that a sarpa salpa (salema porgy) was eaten in St Tropez in 2002. The 90 year old man who experienced the psychedelic trip was hallucinating just 2 hours after eating the fish. The psychedelic experience lasted a full 3 days, and he reported having nightmares about birds and people screaming . The poor man feared that he was losing his mind and that he was experiencing the beginning of a mental illness. Instead of telling a doctor, relatives, or friends he saw the thing through on his own. That’s one tough 90-year old! The second case study involved a 40-year old man, who in 1994, enjoyed baked salema porgy while on vacation in the French Riviera. Two hours after his meal he felt nauseous and experienced blurred vision and vomiting. The symptoms worsened the next day and the man decided to drive home. Halfway through his journey home he was distracted by hallucinations involving giant spiders and screaming animals. At this point he realized that he needed medial attention and he recovered in hospital. The hallucinogenic experience lasted a full 36 hours. 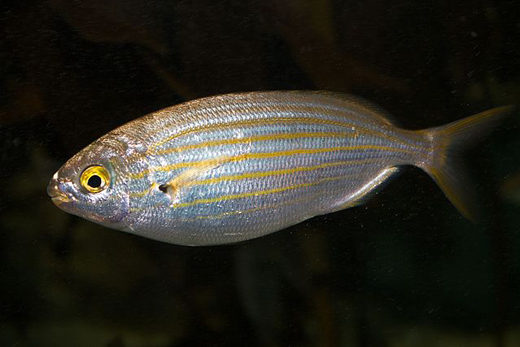 The salema porgy prefers warmer waters but it has been exploring new territory more recently and was caught of the south coast of England in 2009. Perhaps a warming ocean climate is to blame for this. We hope that your curiosity has been satisfied. As ever, if there’s anything we’ve missed or you’ve got something interesting to share, then drop us a comment down below or privately on our contact page. We’d love to hear from you! If you’ve enjoyed our post on animals then you should check out our article on sand dollars. There’s also a fun-filled post on the world’s quickest animals.